Easter is one of those holidays that my mom really enjoys. She always gets creative with the Easter egg hunt and spends a great deal of time on it. This year, she made little notes to put in some of the eggs. Then the kids had to do whatever the note said. 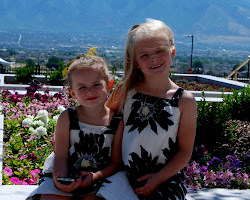 For some it was to share their candy and for others it was a hug to be shared with a sibling or cousin. She also does a little gift for them. 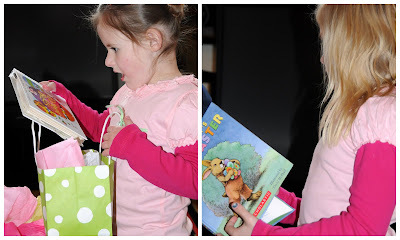 This year she gave them a book and a dress - both of which they loved. 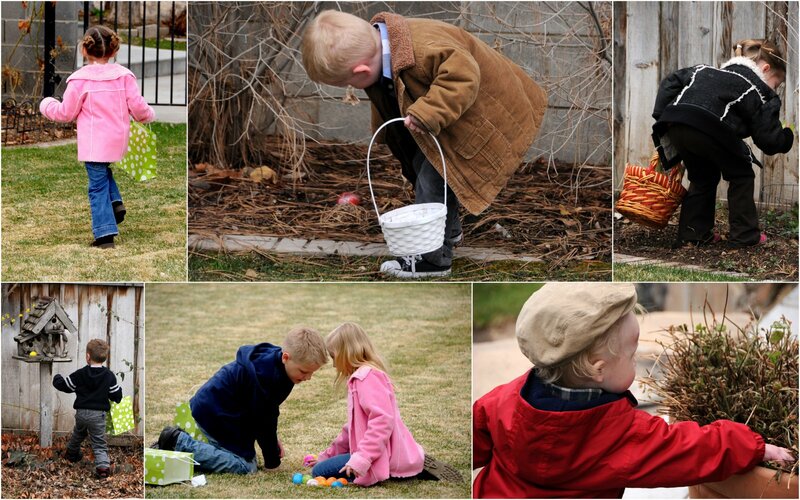 The kids had a blast running around the yard all bundled looking for eggs. It's difficult to get great pictures of them running to the eggs. 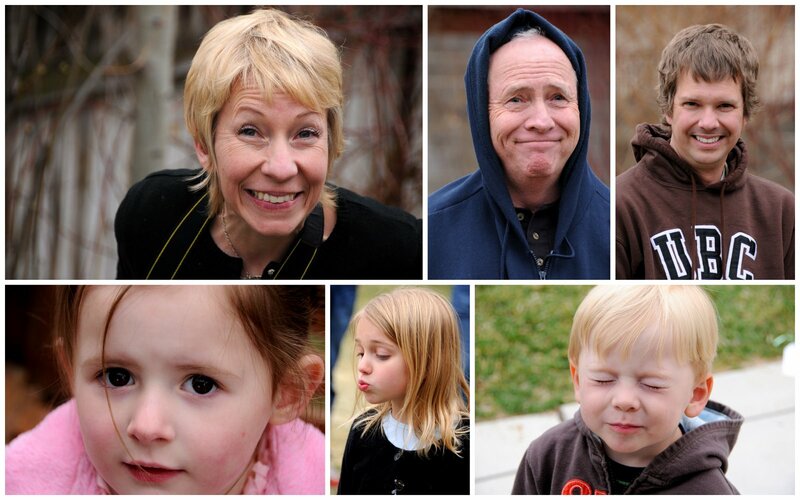 I always love getting fun little photos of my family faces. Enjoy!